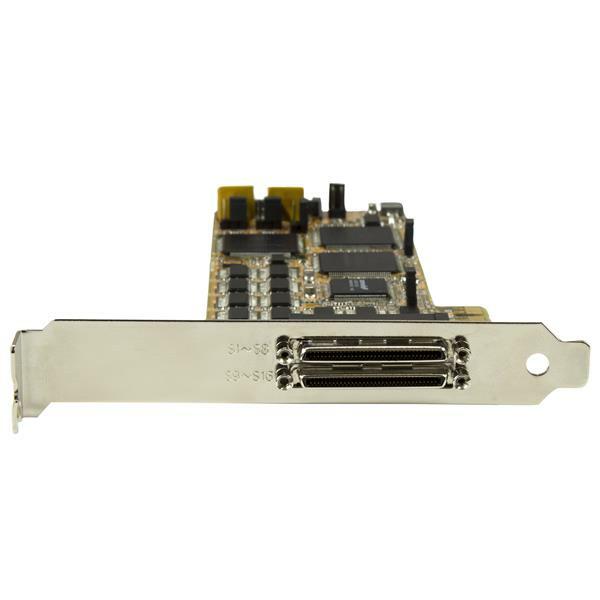 This PCI Express serial card adds 16 high-speed RS232 ports to your standard or low-profile desktop or server PC. 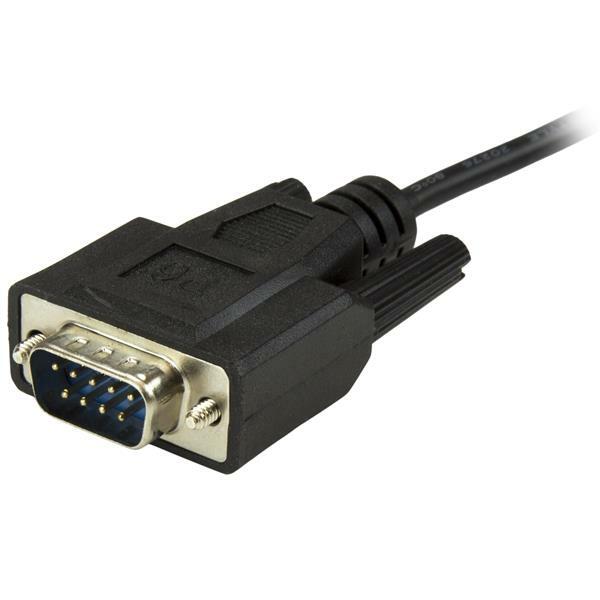 This lets you maximize the number of available DB9 RS232 ports that are available for connecting your serial-based devices and equipment, while using only a single PCI Express (PCIe) slot. It’s the perfect solution for adding the serial ports you need, even if your desktop PC or server only has a limited number of PCIe expansion slots. You can install the serial card to add 16 high-performance DB9 RS232 serial ports from a single PCIe slot. With two breakout cables of 8 ports each, the PCIe serial card maximizes the density of DB9 RS232 ports on a server or desktop computer. It’s ideal for system upgrades in a wide range of applications, including manufacturing equipment, POS equipment, security devices such as surveillance cameras, and environment or building control systems. The serial card is easy to install and configure, and compatible with a broad range of Windows® and Linux® operating systems. The card features IRQ sharing and supports plug-and-play serial device connections, which makes it convenient and easy to connect serial devices. It includes a low-profile bracket making it compatible with both full profile and low profile PC chassis slots. The PEX16S550LP is backed by a StarTech.com lifetime warranty and free lifetime technical support. Will I need to plug in power to this serial card from my power supply? It is not required to use the power connector on the card, but certain modes will only be available while using the connector. For instance, jumpers can be placed on the card to draw 12V or 5V from the power connector to assist with power output through the DB connectors. If these modes are activated without the power connector, the card will not function correctly. Before you install this device, make sure that your operating system is current (for example, the most recent service pack is installed). Download the latest drivers from the StarTech.com website at www.startech.com/Downloads. The part number and product ID are on the product packaging. After your computer restarts, connect the fax modem to your computer. Is there a different or more advanced way to install my serial card in Windows Vista / 7 / 8 / 10? Download the latest drivers from the StarTech.com website at www.startech.com/Support. The part number and product ID are on the product packaging. Browse to the Windows folder and open the 32-bit or the 64-bit folder, depending on your system type. Click the sbserial.inf file. Click OK, and then click Next. Additional device listings will appear in Device Manager. Complete steps 4 to 11 for each of the new device listings. Is there a different or more advanced way to install my serial card in Windows XP? Complete steps 4 to 12 for each of the new device listings.